What if the gap between the work we "have to" do and the video games we want to play were smaller? It's happening – and while it's helped me reach some goals, it's also concerning me a bit. I've been trying for some months now to put down the controller and get more organized, get more exercise, and generally Get More Things Done. 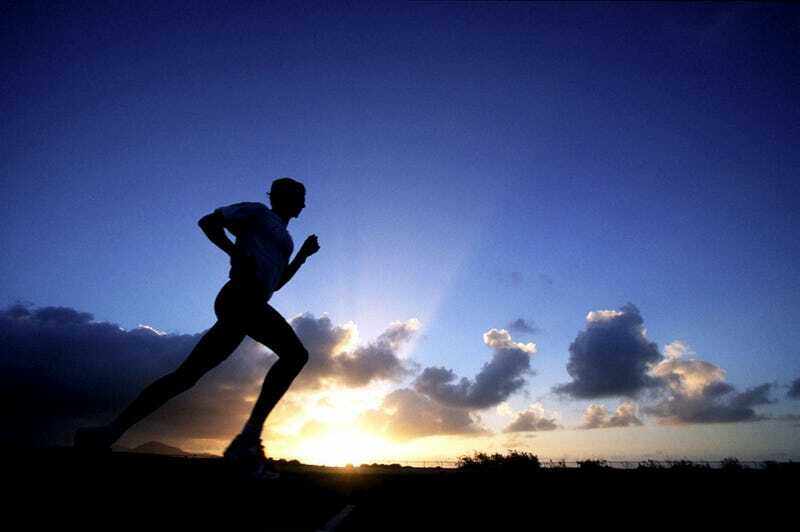 I used to be a runner, and when life got in the way, as it so often does, I fell out of the habit for a few years. And when I applied myself to trying to pick it up again, it was grueling. Running is a brutal task; being in running shape is about the best feeling in the world, but being out of running shape makes the act feel like muscle-shredding, mind-challenging torture. It's just not fun. But then, you know what? Sometimes games aren't fun either. Perhaps the gamer brain and the runner's brain aren't too far off. When asked why we play video games, "fun" is what we answer; we read reviews to find out if games are "fun", developers playtest extensively until they discover the "fun" in their design. But when you look at the ways we play, often fun has little to do with it – gaming is actually often rigorous, and we gamers demonstrate a fascinating willingness to apply ourselves tirelessly to any number of tedious tasks. We can brag about pouring a hundred hours or more into a game. You grind tirelessly in your favorite RPG. You crawl in endless dungeons or hunt sprawling wastelands, trying to rack up the pointes it'll take to make our character just a little bit stronger. Think about MMOs, whose players become surly if they've run out of quests to do. These player travel the land searching for the next villager to assign them a repetitive errand. No matter how many times that boss kills us, we'll reload and go at him again, even when our thumbs are sore. We must beat him. Social misconception often mistake gamers for couch-bound lazybones who have twitchy fingers and limited attention spans. The truth is we're able to apply our attention for hours to tasks that require intense concentration, persistence and mental organization. The "gamer brain" is rather good at getting things done. We're mentally trained to hang in until we accomplish our objectives. Perhaps the gamer brain and the runner's brain aren't too far off. The more tools like RunKeeper pop up, the more we can apply our "gamer brains" to the often-elusive goal of "getting things done". I decided to test the theory by downloading an app called RunKeeper for my iPhone. It works with the phone's GPS to track how far I'm running and how fast I go – minute by minute, I can see my peak times and, if I choose a hilly route, even my peak elevation. Once I complete a route, I can see the whole picture on the RunKeeper website, and I can share the activities I do with friends and strangers alike by posting them to Facebook and Twitter. Discovering RunKeeper was a revelation. There were all my stats, all laid out . Once I'd tried a run and uploaded my info, I couldn't wait to do a second one so that I could compare. I'd struggled to keep up with a running routine, and suddenly I was hooked. I guess it took tapping into my "gamer brain" to get me committed – I felt like I was level-grinding. That, I know how to do! The social element was helpful, too. Multiplayer and online modes are such crucial components of today's gaming experience in part because everything we do is visible to others; Achievements are fun because all your friends can see them, and achieving strength and greatness is desirable because it allows you to compete better than others. You look cool in front of other players, and when there's an opportunity to gain skill – or even just to gain cool armor – you seize it, because it improves the way you fit into the public gamer landscape. When I feel tempted to skip a workout, I think about all the updates to my Facebook on which my friends have commented. I'm sure they have better things to do than to notice that one day's Wall post is missing.... but still, I'm conscious that other people can see what I'm up to, and sometimes that's all it takes to give me that little push. The only thing more satisfying than pulling out a couple miles when you didn't think you were going to be able to do it is being able to show it off, and I'm quite sure that's the same feeling that's motivated me to go after a rare item, finish a quest before all my buddies, or attain 100 percent completion, all in video games. Game designers have committed many collective lifetimes of research about what it takes to keep us engaged with an activity for as long as possible, or motivated to tackle tons of game goals. And this is a field of study that is only poised to accelerate now that the industry climate favors social, online and free-to-play games, where revenues depend on us wanting to stick to a product and come back for more. Those of us who've been playing games for years will have something of an advantage as everything "gamifies" – the more tools like RunKeeper pop up, the more we can apply our "gamer brains" to the often-elusive goal of "getting things done". Next on my list of games to try is iPhone RPG EpicWin, which turns items on your To-Do List into actual RPG quests that benefit a character you create in the game. I am dazzled by the idea that I could tackle some of my greatest weaknesses – being a slightly disorganized procrastinator – by approaching them as video games. Would I lose my ability to distinguish between "work" and "play?" Would that drive me nuts? And yet, there's something a little bit disturbing about thinking of games as "work"… or of work as "games". I was excited to find out that the divide between the things I do for fun and the things I do because they're work isn't so big, but if that divide were really gone, what would it feel like? Would I lose my ability to distinguish between "work" and "play?" Would that drive me nuts? It's a funny principle that keeps us driving at thankless tasks for long-term payoffs. The motivator there is perpetual dissatisfaction – you want more than what you have, you want to be better than what you are, and if you focus and work hard, you'll reach incremental payoffs on your way to that goal. But I often wonder if that's genuinely meaningful. People have used the heavy word "addiction" to describe the compulsion to keep checking off little tasks in games like World of Warcraft or Farmville. Comparing games to drugs may be heavy-handed and flawed, it's true that many gamers have found themselves unable to put a game down even when they can't identify that they're enjoying themselves. Isn't that a dark thought? The implication of the "addiction" word is that the addictive game puts a player on a quest for achievement without substance, that an addictive game is simply a set of activities that plays into the human brain's reward center without offering the person anything. When playing an MMO, for example, it's far too easy to go on auto-pilot, accepting quests and then crossing them off without thinking much about why, about whether you're spending your time in a gratifying way. Could it be a bad thing to reduce big goals for my personal, non-digital life to the equivalent of game quests? On one hand, I'm definitely going to benefit in a substantial way from keeping at running – better health, physical fitness, and the beneficial near-meditative state that runners assume when they're pounding the pavement. Fundamentally I'm proud of myself because I'm completing runs, not because I'm posting new stats to the RunKeeper site. But "gamification" is a concept that's here to stay; the positive view is that applying proven game design concepts to some of our least-favorite or most tedious life tasks can make us more productive and help us have fun doing it. The negative view is that we've become so dependent on designed interaction, compulsion loops and receiving positive feedback for everything that we can't just exist spontaneously, that we need to be "tricked" into achieving. I'm glad I tricked myself into running again by treating it like a video game. But I know I'm going to be careful about thinking of the real world as an RPG.